See it. Analyze it. Inspect it. Solve it. See what matters with data and metrics from dozens of sources. One easy-to-use, cloud-based service for monitoring, log analysis, and collaboration. Trace issues down to their root cause. See how your components interact, identify correlations, and share findings with your team. Loggly 3.0 charts give us a variety of ways to quickly visualize data, and its dashboards let us organize this data in the most useful ways for detecting and understanding the problems that arise in software and infrastructure. This is the latest example of how Loggly continues to improve. Stunning charts bring context to individual data points. Correlate metrics and logs for faster analysis and deeper insight. Get alerts when application behaviors deviate from the norm. Monitor, analyze, and optimize applications running on dynamic infrastructure, hybrid clouds, microservices, devices, and IoT. Understand performance and identify root causes with data from the full stack and third-party services. Easily share log analytics and insights, or even a real-time stream of log events, by connecting Loggly with the tools your teams use every day. Efficiently distribute alerts and create tickets. 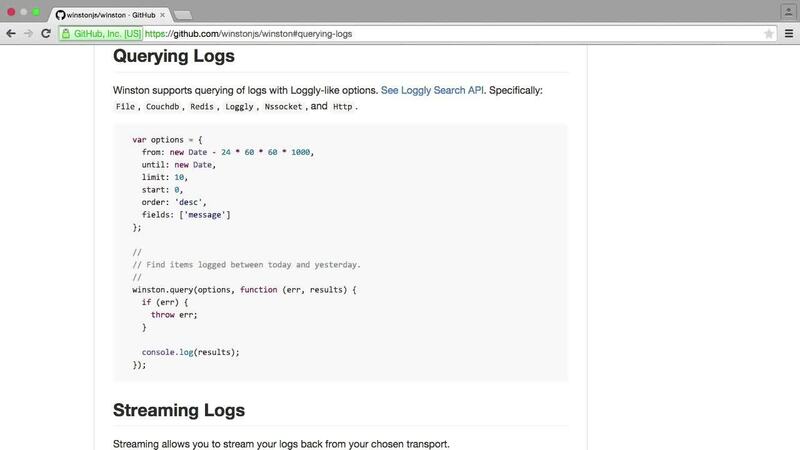 Integrate Loggly with your own software by using HTTP endpoints and our powerful API. Loggly is a pure SaaS-based service that makes setup simple and scales with your needs. Any log data from any system can be collected, and, as Loggly uses open standards to transfer this data, there is no dependency on proprietary agents. See unified log analysis and monitoring for yourself.